This Volvo FH 16 520 was seen parked at the road shoulder before entering the construction site. 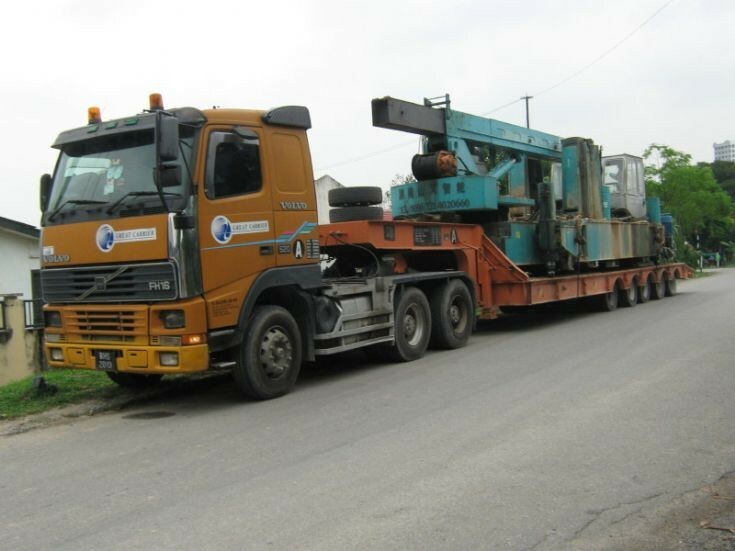 This tractor is towing a lowbed trailer and is carrying parts of a Piling Rig. Picture taken on 02/03/2010.